The Active Living Club promotes outdoor activities in a group setting for older adults aged 50+ and seniors. 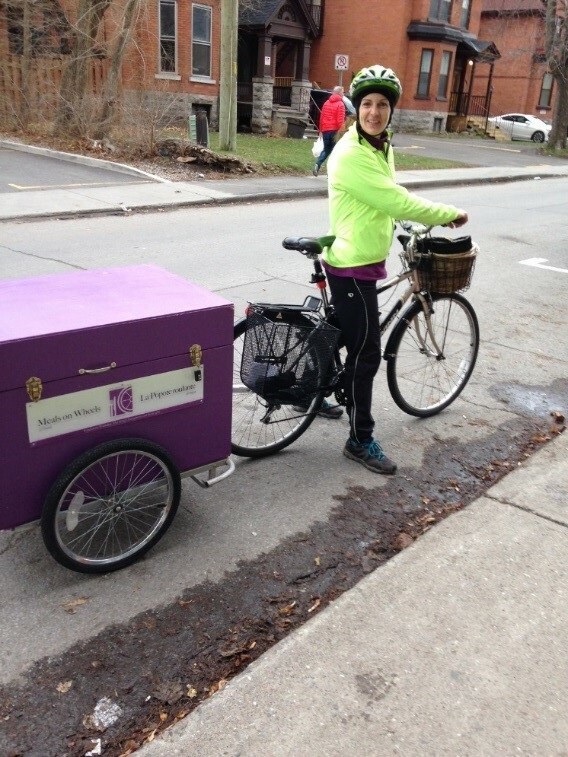 Guest blog post: Denise Inglis, Meals on 2 Wheels delivery volunteer. I love cycling and that’s what lured me to Meals on Wheels. They were looking for volunteers to deliver by bike. It’s been 4 years now and I love it! Another great thing I do on my bike is lead cycling outings with seniors. The City of Ottawa’s Active Living Club is a program that promotes outdoor activities in a group setting for older adults aged 50+ and seniors. Activities include cycling and hiking in spring, summer and fall. In the winter the activities switch to snowshoeing and cross-country skiing. As a facilitator in this program I discovered new outdoor recreation areas all over the Ottawa and Gatineau area I had never visited before. It’s been a great experience and if you would like to check out this fun and social group, they offer a “Try-It” week where you can come out and try the outings for free. The next “Try-It” is during the week of January 2nd – 6th, 2017. If you want to stay active, enjoy being with other people and would like to explore the trails, pathways, and landscape our region has to offer try the Active Living Club. Want more information? Call 613-580-2854, press 1 then press 5 for customer service.